When it comes to network marketing (or sales) it helps to understand your prospect. Ideally, you need to know HOW and WHAT your prospects think so you can tailor your presentation and do a better job connecting with your prospects. Doing so will help you make more sales and sponsor more distributors. # 1 Most people do not have the entrepreneurial mindset – Most people fear owning their own business. When they think of owning a business they think big responsibility, lots of work, lots of stress, lots of paperwork, etc. Most people do not want ANY of these things. 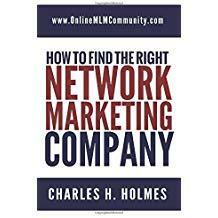 # 2 They don’t know what they don’t know – Most people have never had one hour of instruction on network marketing or working for themselves, so the idea is a new and confusing topic to them. # 3 They have preconceived notions – Many prospects have preconceived notions about our industry. They might think that our industry is a scam. Maybe they know someone who has tried the industry, but failed. They’ve probably never really researched the industry, but they do have pre-conceived notions based upon what others have told them. # 4 Most prospects fear change – Most prospects and most people fear change more than anything else in life. They fear the unknown. They feel safe in their own comfort zone, even if they are broke and unhappy. # 5 Most people are lazy – This might sound harsh, but I believe it is true. Most people are not willing to work hard or do what it takes to become successful in life. Most people like to do the bare minimum. # 6 Most people have a low self image – I’ve talked to thousands of prospects during my network marketing career and most of them lacked confidence and had an overall bad self-image. Most people think they don’t deserve success or they don’t think they have the skills to become successful. # 7 Most people can’t relate to making big money – Most people cannot relate to making a six or seven figure income because they’ve never done it before. When you start talking about the big numbers in our industry, you lose them, and rightfully so. # 8 Most people don’t want an opportunity, they want a job – Most people only want a job. They don’t want to be an independent contractor, business owner, or work on commission. They want to feel safe and secure and they will choose safety and security over an opportunity every day of the week. Why did I tell you all of these things? Because you have to understand what is going on in your prospect’s mind before you ever say one word to them. If you don’t understand how they think you will never connect with them or get them to work with you. What do I suggest you do? I suggest you focus on the products your company offers rather than the opportunity. Focusing on the products will help you connect with more people. Most people are open minded to products that will help them solve a problem (lose weight, get healthy, feel beautiful, etc.). Start talking business opportunities with most people and you have lost them before you even began. Another thing I suggest you do (if you want to recruit distributors) is to look for people with BUSINESS EXPERIENCE, who have a good self-image, are open minded and are open to look at new opportunities. These will be your best prospects for the business. Everyone else will be a good prospect as a customer. The bottom line is that you have to understand your prospects. You have to know what they are thinking, what objections they will have, what concerns they will have and how they think. That way, you can tailor your presentation and responses in a way that they understand. I hope that helps. What do you do to understand your MLM Prospects so you can connect with them better? Leave a comment below to share your thoughts. Having a better understanding of your MLM prospects is a vital part of your business. Before beginning, you must invest some time, ask yourself some questions and critically think about situation of your prospects. The outcome of this thinking is likely to help you in tailoring your business proposals in a way that your prospect will find interesting and helpful. When it comes to understanding your MLM Prospects, you want to get inside of their heads. You want to know how they think and what they think. You want to know their fears and worries. You want to know their hopes and dreams and goals. All of this information will help you in your business. You hit many nails on the head with this post Charles. This is where I always remember the line-we were given 2 ears and 1 mouth for a reason; listen twice as much as talking. If we really listen to prospects, we can find out what they are thinking. Instead of “pitching,” try just having a simple conversation. One other thing that I don’t think all Network Marketers consider: before visiting a prospect, a Facebook, Linkedin, and Twitter search on them may give you a greater understanding of that person. I think that you hit the nail on the head when you write that many people have low esteem and cannot relate to making big money. I think that some people are indeed lazy, but many more just don’t see the point in working hard when they don’t think that they will ever get anywhere, or ever deserve to. So if you are lucky enough to have recruits that are already confident, good for you. If not, then build them up! If no one else ever taught them that they can do good things, and deserve the best, then you can. Oh so true… I’ve met and spoken to a number of people in my career, and so many have the “paycheck” mentality. Once you’re able to assess this, then you can focus on the products rather than the opportunity. Funny how so many people are scared of change, never mind the whole network marketing aspect! Thanks for another enlightening article.